Although canker sores are often small in size, they can be extremely painful. Canker sores are small red bumps with yellow and white centers that can form inside the mouth, lips, cheeks, throat, and on the tongue. Some common symptoms of canker sores are a tingling or burning sensation near the affected area, swollen lymph glands, fever, and sluggishness. They can be caused by mouth trauma, excessive stress, poor diet, hormonal changes, a compromised immune system, a food allergy or vitamin deficiencies. Canker sores are not contagious and typically disappear within two weeks without treatment. For quick pain relief, hold a small ice cube directly over the sore and allow it to melt slowly. Ice will not cure the problem, but it will make you feel better. There are many more simple home treatments to ease the pain and irritation associated with canker sores and promote faster healing. Here are the top 10 home remedies for canker sores. Honey is an extremely soothing substance that can help relieve the pain and inflammation caused by canker sores. Also, you can combine it with turmeric as it has antiseptic properties. 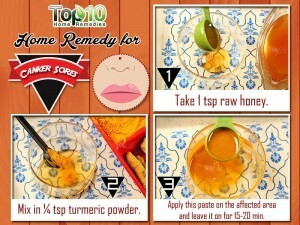 Mix together one teaspoon of honey and one-quarter teaspoon of turmeric powder. Apply the paste on the affected area and leave it on for 15 to 20 minutes. You can also apply a teaspoon of honey all around the affected area to ease pain and inflammation associated with canker sores. Coriander has anti-inflammatory, antiseptic and antifungal properties that can effectively alleviate symptoms of canker sores. Boil one teaspoon of coriander seeds or leaves in a cup of water. Strain the solution and then use it to rinse your mouth, three or four times a day. You can also drink the juice from fresh coriander leaves. Do not swallow it immediately. Try to keep it in your mouth for some time, so the juice can bathe the affected areas. The medicinal properties of licorice root are very effective in treating canker cores. One active ingredient in licorice root is glycyrrhizin, which has anti-inflammatory properties that can calm and soothe the affected area. Soak one tablespoon of crushed licorice root in two cups of water for two to three hours and use the solution as a mouth rinse. 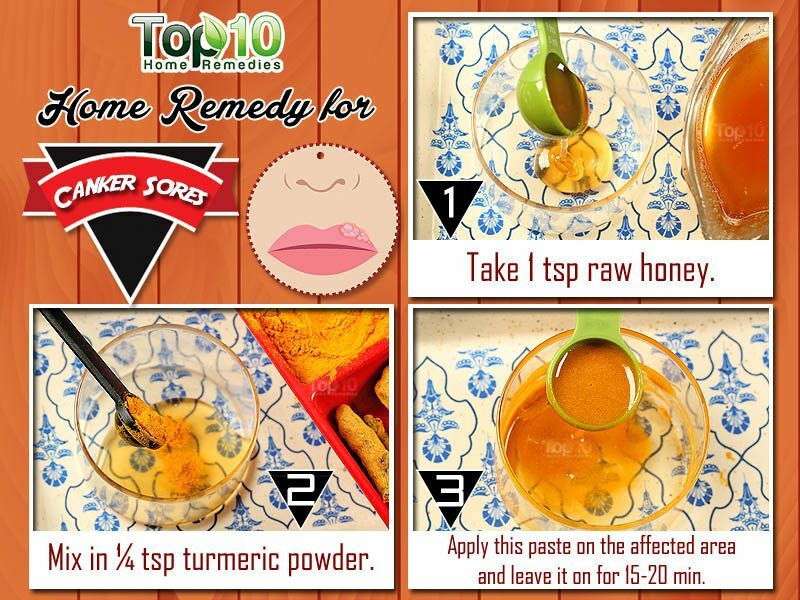 Applying licorice root extract to canker sores can also reduce their size and speed up the healing process. A used tea bag contains tannic acid, a kind of astringent that helps reduce pain and inflammation and speeds up the healing process. You can use either a black or a green tea bag. After making a cup of tea, put the wet tea bag in the refrigerator for a few minutes. Press the chilled, wet tea bag gently over the canker sore for about 15 to 20 minutes. Do this two or three times a day until the canker sore is gone. Aloe vera has anti-inflammatory properties along with many curative powers, including antibacterial properties, that can help ease the pain and get rid of canker sores. Extract the juice from the meaty portion of an aloe vera leaf and apply it directly over the canker sore. Do this several times a day. You can also rinse your mouth with fresh aloe vera juice three or four times a day. If fresh aloe vera juice is not available, you can use the packaged version readily available in the market. Tea tree oil contains antiseptic as well as antibacterial compounds that are very effective skin disinfectants and can help treat canker sores. Use of tea tree oil also minimizes the risk of further occurrences of canker sores. 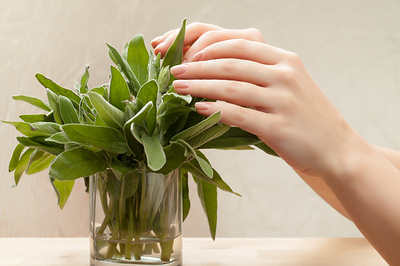 Depending on the severity of the sore, make a solution of five to 10 percent tea tree oil and water in a glass. Do this two or three times a day until the canker sore goes away. For treating canker sores, baking soda is a very good ingredient as it has anti-inflammatory and antibacterial properties. Plus, it helps restore the pH balance in the mouth. 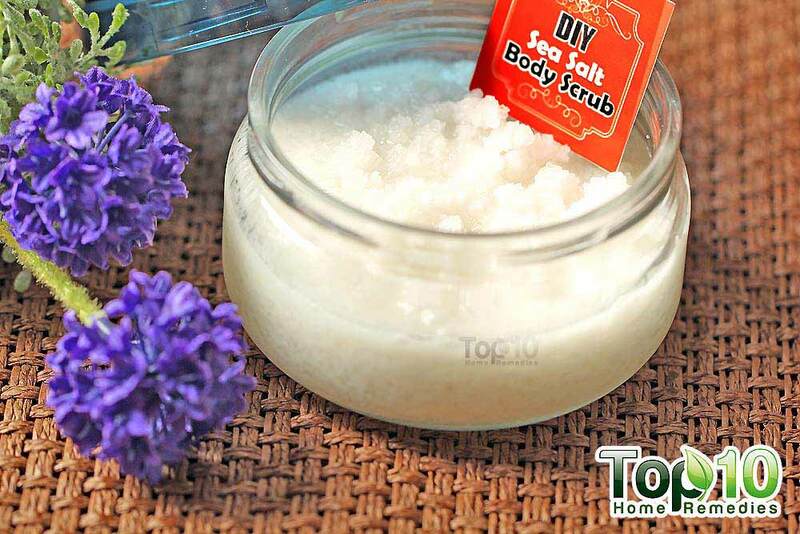 Combine baking soda and a little water to make a paste. Apply it to the affected area. You can also add some baking soda to warm water and use the solution as a mouth rinse several times a day. 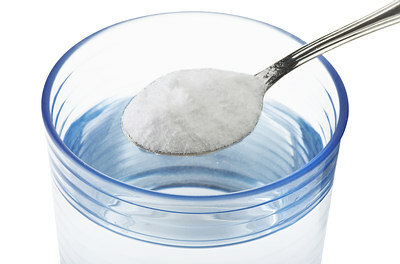 Another mouth rinse can be made with salt, baking soda, and hydrogen peroxide. Rinse with this solution four or five times a day. Within a day or two, you will feel relief from the pain and other symptoms associated with canker sores. The calming properties of sage can instantly relieve pain associated with canker sores. Moreover, it has an astringent and drying effect on canker sores. Add about three teaspoons of sage leaves to two cups of boiling water and let it steep for about 15 minutes. Allow the solution to cool and then rinse your mouth with it several times a day. Another option is to apply the powder form of sage leaves directly onto the canker sore. Do this several times a day. You should have complete relief in a few days. 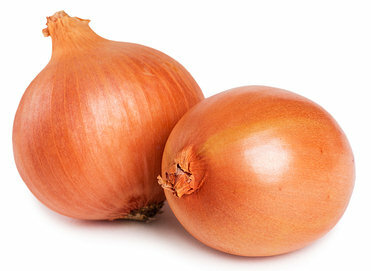 The sulfur compounds present in onions kill bacteria and help heal canker sores. Press a small piece of raw onion gently against the affected area. Hold it there for about five minutes so that the juice is absorbed into the canker sore. Do this three or four times a day. For best results, use an organic onion. You can also apply the juice of an organic onion over the affected area. Cayenne pepper has capsaicin in it, which can temporarily numb the nerves causing pain and provide quick relief. 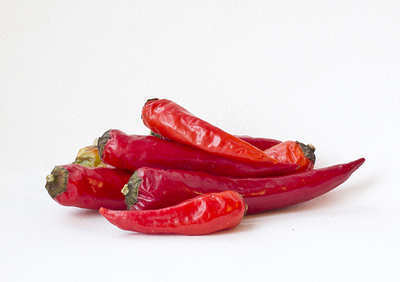 Apply a small bit of cayenne pepper directly onto the canker sore. It may cause some irritation at first, but it is highly effective for relieving pain. You can also try chewing or sucking on some candy that contains cayenne pepper. With these home treatments, you can easily deal with painful and irritating canker sores in a fast and effective manner. If your canker sore does not go away, see your dentist as it can be a sign of a serious condition such as oral cancer. I agree with the ice treatment, I stumbled on that one. Also, Listerine mouthwash helps reduce pain. It won’t speed up the healing, but if you need to eat your meals without experiencing pain when a piece of food or a spice crosses the cancker sore, apply some Listerine to the cancker sore. Heads up, you will experience about 10 seconds of real intense pain that will bring tears to your eyes. If you can grit your teeth through this pain, you will find that Listerine temporarily blocks the nerves and you will have no pain on your cancker sore for about an hour. I didn’t have any listerine, so I rinsed with Jack Daniel’s instead. It worked, I can barely feel my face. Due to a weak immune system, I used to get canker sores all the time. Try using Sensodyne (or the generic version) toothpaste because the ingredient ‘Sodium lauryl sulfate (SLS)’ which is in other toothpastes actually cause canker sores in some people….Sensodyne does not have it. If I do get the occasional sore, I keep diluted hydrogen peroxide around and just poor some on my toothbrush each time I brush until the sore is gone…works every time! Ok do you just leave it on the swollen area of the lip. I like ur totkay but kindly plz translate in Urdu . I am very thanksfull to u. Whenever I get a canker sore, I always make a cup of hot black tea, wring out the teabag then press & hold the hot teabag into the sore, for as long as I can stand it. Then drink the tea. It helps the pain immediately & usually after doing this 2-3 times, the sore is completely gone after a couple days. Switch to sensodyne toothpaste. I used to get so many all at once, but since I switched to sensodyne, I have only had one in a couple of years. thanks I just want to try all of these together!! just to make it the pain go away. Dentist told me I must keep my denture in…on top of the sore. and only take it out at night…it is agony …I long for the evening when I can get some relief. thank you very much for the information. i should try this since i have been suffering this canker sores for a month….